FOUR authorities are investigating the grim discovery of the carcasses of at least 16 horses and cattle at the base of Baltard Cliffs in Doonbeg. Clare ISPCA warden Frankie Coote, having visited the site on Wednesday, described what he saw as a “planned and sinister” operation. Another horse that lay dead within 200 yards of the cliff edge had, in fact, been put down by a veterinary surgeon on Monday. 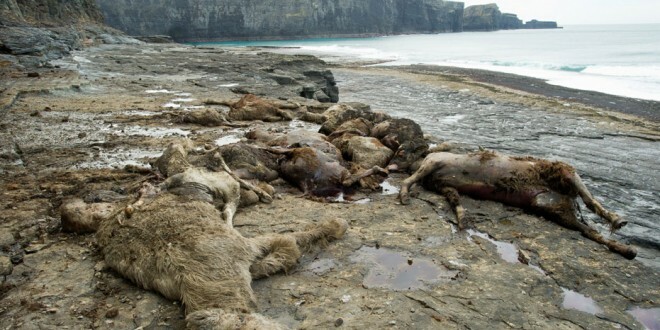 Up to 15 of the animals were located close together at the bottom of the stunning, isolated cliffs, while another dead horse lay close by when The Clare Champion visited the scene on Tuesday. 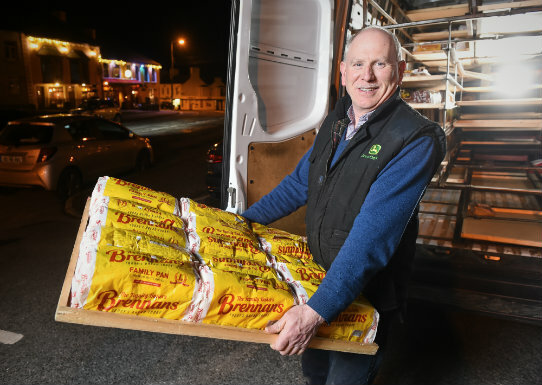 “We can confirm that we’re carrying out an investigation in conjunction with the ISPCA, the Department of Agriculture and Clare County Council. 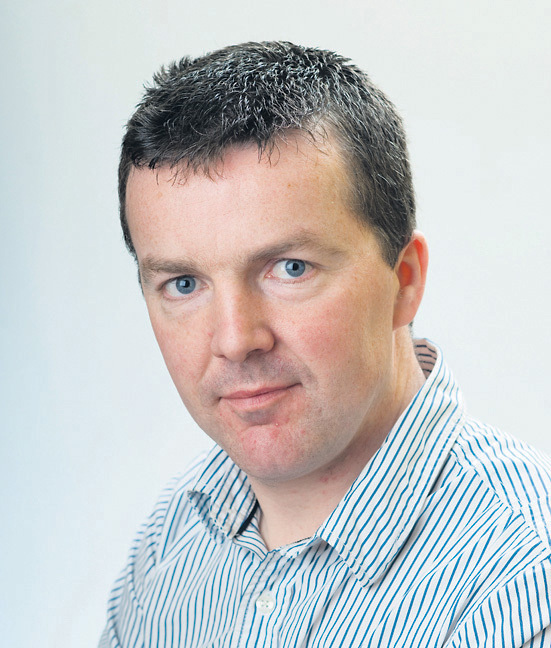 We can’t say any more at the moment for operational reasons,” a Kilrush garda spokesperson said on Wednesday. The ISPCA’s Frankie Coote visited the cliffs on Wednesday where he examined the dead animals. “I found nine horses, four cattle and three calves, together at the bottom of the cliffs. Their ears had been cut off to remove the tags. This was planned. Whoever did it, it took quite a lot of work. Plus, removing all identification from the animals made it sinister,” Mr Coote said. He believes the dead animals were dumped several weeks ago and were thrown 300 feet off the cliff top. “In my opinion, they’ve been there definitely more than two months. They wouldn’t decompose that quickly near the sea and with cold weather, although in summer they would. From down below, it looks like they were thrown off from the top. Whether they were dead or alive, you can’t tell. They weren’t shot but their necks and legs are broken,” Mr Coote revealed. He said examining the dead animals was one of the most difficult tasks he has had to carry out in his professional career. “To look from the top of the cliff, it looks like 14 or 15 foals but when I was down there, I got a big shock to be honest with you,” he said, adding that he had contacted the Department of Agriculture. A walker from the West Clare area discovered the dead animals on Monday and reported the matter to Kilrush gardaí, who attended the scene soon after. “I counted about 16 animals on Monday,” the walker told The Clare Champion. “We were walking on Monday and what we thought was a dead horse was lying in the field. The horse actually started moving. The poor thing was dying, so we called the gardaí. They came out and called the vet to put the horse down,” the walker said. Kilkee-based vet, Fergal Hennessy, attended the scene. “I haven’t come across anything like that before,” he said, adding that he has been working as a vet since 1992. Mr Hennessy said, in general, animal welfare is an issue in Ireland. “The animal welfare organisations are inundated with horses being abandoned. I think because of the lack of slaughtering facilities for horses, there are an awful lot of horses abandoned rather than being slaughtered because of the fact that they mightn’t have the correct paperwork. That’s a huge issue. It was a disaster for horsemeat to get into what was supposed to be beef. 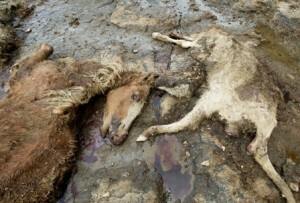 I know that in Eastern Europe they blood test the horses prior to slaughter,” he stated. “As it stands, the regulations are that if an animal isn’t passported before it is six-months-old, it cannot ever go into the food chain. Its passport is stamped ‘not fit for human consumption’. There are an awful lot of horses that haven’t got books that make them eligible for slaughter. They’re getting dumped in forests and at the edges of towns in waste grounds,” Mr Hennessy added.